The powerful burning software Nero Burning ROM allows you to burn your data, music and videos to disc. Nero Burning ROM gives you full, customized control of your burning projects. You can - among other things - define the file system, the length of the file name and the character set; you can also change the disc label. And of course, you can also customize the Nero Burning ROM toolbar and change the keyboard shortcuts. 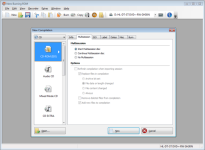 · Burn and copy to CDs, DVDs and Blu-ray Discs or save disc images to hard drives, networks, and USB devices or span oversized files to multiple discs and different disc types. · Add state-of-the-art SecurDisc protection to your burned discs with personal passwords, encryption options and digital signatures. Get alerts before disc data deteriorates, allowing for time to back up. · Ensure that burned data is readable regardless of scratches, age, or deterioration with cutting-edge SecurDisc technology. · Go beyond just burning and erase rewritable discs with the option to effectively retrieve data, convert audio files into other formats or rip Audio CDs directly with album cover, song titles and artists names. Burn with your smartphone or tablet! All Nero Burning ROM reviews, submitted ratings and written comments become the sole property of Windows 7 download. You acknowledge that you, not windows7download, are responsible for the contents of your submission. However, windows7download reserves the right to remove or refuse to post any submission for any reason. 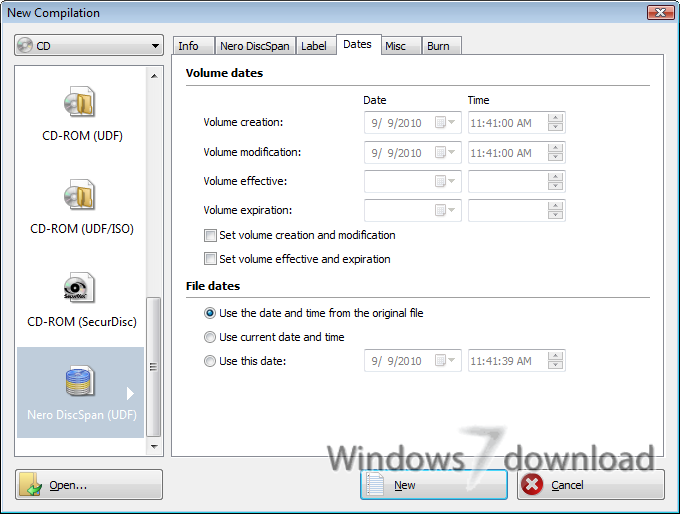 Windows 7 Download periodically updates pricing and software information of Nero Burning ROM full version from the publisher, but some information may be out-of-date. You should confirm all information. Using warez version, crack, warez passwords, patches, serial numbers, registration codes, key generator, pirate key, keymaker or keygen for Nero Burning ROM license key is illegal and prevent future development of Nero Burning ROM. Download links are directly from our mirrors or publisher's website, Nero Burning ROM torrent or shared files from free file sharing and free upload services, including Rapidshare, MegaUpload, YouSendIt, SendSpace, DepositFiles, DivShare, HellShare, HotFile, FileServe or MediaFire, are not used.